Originally released on May 8, 1984, Bob Marley’s Legend illustrates the remarkable life and recording career of one of reggae music’s most important figures. This iconic collection not only serves as the perfect introduction to the music of Bob Marley, it has become an essential part in every Marley collection. 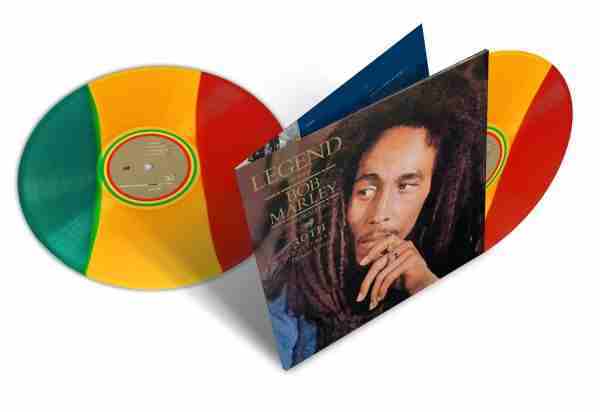 It remains the world’s best-selling reggae album and continues to be one of the best-selling catalog albums, exceeding 15 million RIAA®-certified copies in the U.S. alone and over 27 million worldwide. Packaged in a gatefold album, this 2 record set is on tri-color vinyl and contains bonus tracks that were not on the original album.